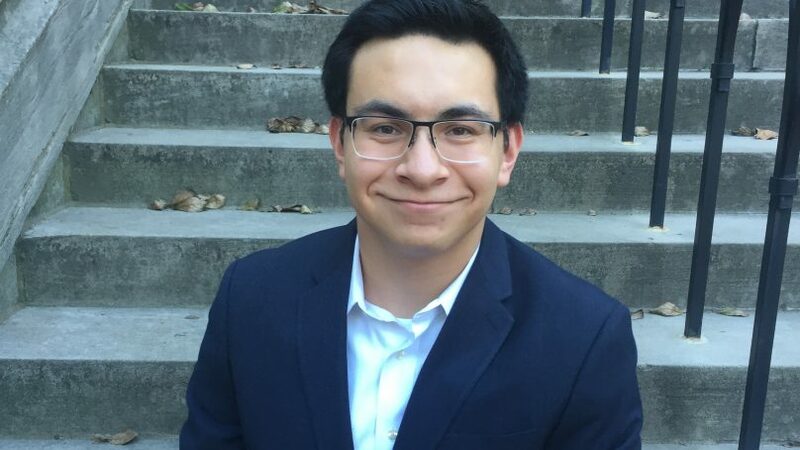 Fellow VPR contributor Cloe Anderson interviewed Alejandro to learn more about his internship experiences in Chicago. CA: What does a day in the life look like? AM: I would get up pretty early – 5:30 am – and get ready for work at the office. I would get on the train and head to the city. When I got there, it really varied as to what I would do. The interns usually got there before our assigned staffers so I would often take some time to read the news and prepare myself if there was anything that might attract phone calls to the office. My job was to handle any invitation the Senator received and input it into the scheduler’s calendar so she could decide which events Senator Durbin would attend. Most of my days were spent drafting regret letters because he would be in Washington. For two hours everyday I would be on the phone listening to constituents and taking their comments to see if there was anything we could do to help them. AM: [My] internship at Citizens for Rauner, Inc. is much more relaxed. I go out for two hours three days during the week and knock on doors to ask voters about which issues are the most important to address in Illinois, which is obviously in pretty bad shape, right now. I get to know the voters and they get to know a little bit about issues. In general, it’s about taxes or the budget crisis that has plagued our state. Then on Saturdays, I go out for at least 4 hours, still just getting basic information about what troubles our voters. CA: How did you find out about the internship? AM: [For Sen. Durbin’s office], self-research. I knew that I wanted an internship this summer, and Durbin is very well known in IL and the rest of the country. A few of the other interns at the office were jumping on to Democratic gubernatorial campaigns – they have a tough primary fight so they are really bulking up. I knew that I had nothing to do for the rest of the summer, so I reached out the Rauner Campaign and within a week, I was canvassing. CA: What’s your favorite part of Chicago? AM: Chicago is an amazing city. I’ve always had access to it, living in one of the collar counties. I loved being able to walk into the office and look out over Lake Michigan. All the different food options are amazing, especially in the Loop. CA: What is the best part about working at your internships? AM: Both internships gave me opportunities to meet and talk with local elected officials, from both sides of the aisle, and from Chicago and Dupage County. CA: What advice would you give to someone looking to apply where you are currently working? AM: Really have a love of government or politics. All the interns have such diverse backgrounds that there is no real hard set qualification to have. I will say that being able to clearly articulate policy points and be able to ace an interview are very important. Answering the phones really helps to sharpen that skill. CA: It seems like Vanderbilt focuses a lot on the careers of people seeking to be business consultants or investment bankers. Do you think Vanderbilt does a good job of letting students interested in politics know of internship opportunities? What could they do to improve? AM: I don’t think Vanderbilt does very well. I think that if you get into the right circles, like VPR, with others who have the same/similar passions, you find out about other internships by just talking with others. I feel that having all the students with political aspirations and backgrounds be able to sit down together or meet in a convention style forum a couple times a year would be very beneficial. Government and Politics are a totally different beast when it comes to internships and maybe having events specifically geared toward those would really help out. I need to recognize just how to view my blog posts or comments on other individuals blogs. Exists anywhere I could go to get a listing of all my blog posts?. Any kind of assistance valued. I currently am running 2 blogs, one is for design & development and also I have a pagerank of 4 on it and I have lots of great write-ups. As well as I have an additional blog where I have rants, wellness pointers and also digital photography … Should I merge them or should I keep it seperate?. I simply want to mention I am just new to blogging and certainly liked you’re blog site. Likely I’m likely to bookmark your blog . You absolutely have fantastic posts. Bless you for revealing your website page.